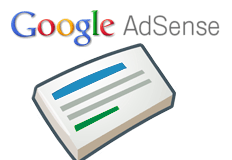 Google AdSense Ads Redirecting Users To Other Web Sites? There are many complaints but the largest thread with complaints is at the Google AdSense Help forums, where conversation started on January 4th, showing how users were being taken from the publisher site and automatically being redirected to lemode-mgz.com. There was no malware or hack on the site, it was the ad pushed through by Google AdSense servers that enabled the hijacking. Thanks for sending us this information. I've forwarded it to the AdWords malvertising team for their ongoing investigation. At this point, the redirect issue is known and our engineers are currently working on a fix as we speak. It appears to be one source that is changing destination URLs. Hopefully a permanent fix should be delivered today or ASAP. Now, they may have fixed that one ad, but it still continues to be a problem for publishers. The thread has continued on to today, 8 pages deep, with complaints. Google has not responded in the thread itself, so there has been no confirmation from Google officially on this topic as of yet. Update: Google confirmed and said they resolved this issue.